Do you Want to Increase your deal size? 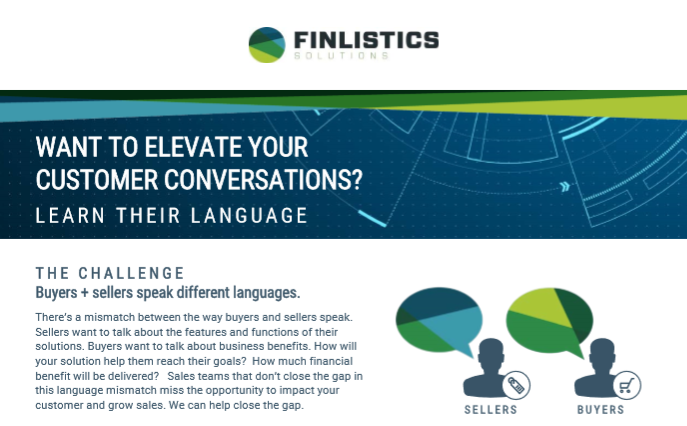 This FinListics overview breaks down the barriers between buyers and sellers by identifying the difference in their languages and the solutions you can use to overcome them. Discover how your insight-led selling approach can utilize tools and training to increase your deal size by an average of 25%. Are you ready to ensure your sales team is prepared to illustrate how your solutions create value?